I am the Member of Parliament for the Isle of Wight and have been committed for many years to finding solutions to the particular transport problems from which the Isle of Wight suffers. Since I was first elected in 2001 there were persistent ‘grumbles about the ferry services, but after the ownership of the two main ferry companies passed to financial institutions it appeared to me that services went into decline and prices rose. In 2008, I submitted a case to the Office of Fair Trading for an investigation to be carried out into service levels and pricing of the cross-Solent ferry services. Despite some difficulties over the relatively small market, the OFT agreed to initiate a limited enquiry and their report was published in July 2009. Their main conclusion was that although there were some competition problems, they were no straightforward, proportionate solutions and the consumer detriment was not so serious as to merit action at that time. This was disappointing, but they did agree that greater transparency in pricing and service standards was required from the ferry companies and did not rule out further investigations in the future. There is a great deal of evidence that island economies are often negatively affected by poor transport links to the mainland, and the Isle of Wight is no exception. High prices and service black spots make both affordability and connectivity particular challenges for Islanders to overcome. Unlike many other island communities, the Isle of Wight has no scheduled airline services; there is no alternative to using the ferry services. Some island economies receive public subsidy to assist their transport links with the mainland; indeed the Scottish Government pumps over £70m pa into the ferries serving their island communities. Isle of Wight ferry services have never received direct public subsidy, although when Wightlink was owned by British Rail, and later Sealink (prior to denationalisation in 1984), it was operating in a way which was nearer to a public service with less pressure on profitability and greater emphasis on public benefit. In more recent years the record of the two major ferry companies does not bear too much scrutiny in terms of public benefit. And I am concerned that, as Islanders, we have so little influence over their pricing and service availability. I am not suggesting that the ferry companies seek to work against the interests of Islanders and the local economy, simply that whenever these conflict with commercial interests the ‘public good’ often loses out. I believe that the time has come for an independent examination of the impact on the Island’s economy (and domestic income levels) of high fares and limited connectivity. I believe that this Taskforce is well placed to undertake such work. I am ready and willing to support any efforts to find the necessary funding. Of particular concern is whether the overall connectivity constraints contribute to the much lower than average mobility of Islanders compared with Hampshire and other areas in the South East. There is some useful work on this in the AECOM report produced for the Solent LEP in March 2016. The relatively small number of residents that travel regularly to and from the mainland (only around 10% of the population) is not in itself unusual for Island economies. However, I believe it results in sluggish growth and contributes to increased pockets of deprivation. High transport costs and limited levels of connectivity must somehow be overcome if the negative effects are not to lead us into a further downward spiral in the quality of life and levels of economic activity on the Island. It should also be determined to what extent the substantially lower income per head of population on the Island (in comparison say with Hampshire) is connected with the impact on inward investment of the cost of ferry transport. I worked hard to bring this Taskforce into existence and gained the support of Government, with activity privately ‘behind the scenes’ as well as more publicly. It is, I believe, most helpful that Mr Hayes is once again in the Transport ministerial team in the new administration. I have already secured his agreement to visit the Island in future months and would like to work with the Taskforce to ensure that they have the most useful possible engagement with him. I would also be happy to facilitate meetings and visits with other Ministerial colleagues and officials at your request. I have also worked with the Solent LEP to support the Taskforce and am more than willing to further engage in the future. I have also sought to build a cross-party consensus on the Island to support an independent approach and, somewhat remarkably, we achieved a unanimous vote to set up the Taskforce, although for various reasons it took some time to come into being. The overall efficiency of our transport network requires a detailed examination, most particularly to see what improvements can be brought about which will contribute to positive long term development for the Island. The aim should be to improve the quality of life and support transport connectivity for all sections of the population both residential and business-related and for the tourist economy. I will comment in further detail on the the Island [Rail] Line, the fixed link proposals, the ferry services, Southern Vectis bus service and the role of local Community bus services. There should be careful consideration about how the road network contributes to transport integration. Although it is clearly a very important factor, there are no obvious ‘operators’, so it appears somewhat more difficult to involve the road network in actively planning for the future. In that respect the existence of the PFI for Island Roads could be a positive factor. I do not suggest that there are no problems at all with the current contract and its fulfilment – there clearly are. But there is also considerable expertise at senior levels of Eurovia, the parent company and the Taskforce may well find them willing to engage usefully and proactively. I believe generally that considerable emphasis should be placed on trying to plan ahead to embrace any improvements that new systems of transport can provide, using new technology and innovative transport planning options where these are practical and provide good value for money. I was pleased to see the comprehensive report published by the IW Council last month which embraced an application to the Access Fund for sustainable travel. In particular, I endorse the plan to work with the Solent LEP to establish an Island Infrastructure Fund through which transport projects on the Island can be considered independently of projects on the mainland (which due to population levels are often able to generate greater returns for investment). I am very supportive of the now established Island Infrastructure Taskforce working in partnership with the Solent LEP, so that both projects and a prioritisation framework can be readily identified against clear objectives. I have not seen much evidence of this in the past. I think it is realistic to view the £15m initial programme fund as just the start of a much bigger potential investment programme. This will of course depend upon viable and well-supported investment plans coming forward over at least the next decade, and probably longer. It should be an objective to bring in private investment funding to at least match and hopefully surpass public funding. In respect of the shorter term improvements sought to improve walking and cycling, I think that they are well researched and presented and deserve to succeed. But they do not go nearly far enough in addressing the real long-term investment needs for public transport both on the Island and to and from the Island. I hope that the Taskforce will not shy away from considering those long term challenges. I also have grave misgivings about the current proposal for devolution ‘the Solent Deal’, which includes the cities of Portsmouth, Southampton and the Isle of Wight. If this were to go through much of the strategic planning (and the related funding) needed for the future of Island transport would fall to this body. It is easy to envisage that the communality of interests of the two cities would outvote the needs of the rural Isle of Wight. I do not believe that enough consideration has been given to this locally and hope the Taskforce might be able to take a public view on this prior to any irrevocable decisions being made. I turn now to comment on individual modes of transport. Much has been written and commented upon Island Line, particularly in recent times as the franchise arrangements have been reviewed. However, the significance of the Island Line to the overall importance of public transport needs for Islanders has in my view become over-politicised. I take the view that Island Line should be fully utilised and developed as one of the Island’s strategic public transport services, but it’s continuation as a heavily subsidised and relatively inefficient rail service must be debated. Island Line suffers from heavily outdated rolling stock, poor track infrastructure which is expensive to maintain and modernise and a service regularity which struggles to meet sensible connectivity for the challenges of the future. One of the three passenger ferry services seems to be almost dependent on its continuation. If there was not a link to deliver passengers up the pier to access the Wightlink Fast Cat service it is not clear that the service would remain viable. The commercial failure of this vital link to and from the Island would undoubtedly adversely affect the Island’s economy, and put an even greater reliance on vehicle movements. The walk along Ryde pier, although pleasant for the able-bodied in the summer months is long and arduous for disabled or elderly passengers or those with small children or luggage to transport, particularly in inclement weather. Although the publicly operated Island Line service is undoubtedly to their advantage; the privately owned operator has shown little inclination to support essential rail modernisation. There is no planned investment in the permanent infrastructure and emergencies have been dealt with on a ‘fire-fighting’ basis. To my mind an example of planned investment that would benefit the Island is the installation of a passing loop south of Brading, which would improve ferry connectivity at Ryde pierhead. There have been any number of reports of varying size and content seeking to provide answers to the future of the line, yet the past 14 years has seen a virtual standstill in investment and revenue growth. It is acknowledged that public subsidy is needed to bridge the gap between revenue and costs, assessed to be in excess of £4m pa. This burden on the public purse is not helped by the leakage of passenger revenue accounted for by a degree of “free travel” caused by fare collection difficulties. In passing, I would say that there are some who would argue that if we had a £4m pa subsidy to introduce public service obligations on the ferry services, it would bring far greater benefits for a larger number of Islanders (and the Island’s economy) than propping up the current Island Line. So far, some of those who rely on Island Line to commute have argued in favour of a continuation of public subsidy and a no-change policy towards any modernisation if it includes any innovative thinking on ownership/management models that could achieve the necessary investment. I believe this approach is wrong-headed. We need a holistic modernisation of the service which could offer up much wider benefits to other parts of the Island. For instance, it would be possible to extend a light rail service to other key population centres of the Island, either at the time of conversion or in the future. Light rail technology has improved dramatically over the past 10 years and the costs of maintenance and operating have rapidly reduced as have capital costs for implementation. This needs to be examined carefully. We should be open to the most appropriate ownership/management model that would provide what the Island needs, rather than start from the premise that certain parameters must remain as they are now. Much excellent work has been carried out by the IW Tramway Company and in particular by Roger Berrisford. He has examined the various light rail options in greater detail than anyone I am aware of, and his analysis and costings (which I know he has shared with the IW Council and the DfT) appear to me to be well worth close examination and further development. He believes that a low cost solution to conversion of the Island Line from heavy rail to light rail is now a practical proposition. He also foresees that not only will this allow us to take advantage of all the new, environmentally friendly power units, but it will offer the possibility of street running a new light rail system to the centre of the Island and to the developing area around the Cowes conurbation (slthough this may be a second phase of any light rail plan). I urge the Taskforce, in conjunction with the DfT and the Solent LEP, to take this proposal forward as a major part of the preliminary work necessary to bring forward a business plan and engage in discussion with a wide range of potential partners and investors. I firmly believe that the time has come for the Island to embrace the obvious benefits which would come from building and extending an efficient light rail system. I can see no benefit to the Island in continuing with the Island Line as it is currently configured and operated, although I recognise (as do the Government), that it will take time to implement a fully costed and invested light rail substitute and that subsidy (albeit at a reduced level) will still be needed. Although Southern Vectis (owned and operated by Go Ahead group) claim that no monopoly exists, and that other bus operators could compete, in reality so well embedded are Southern Vectis services that they for all practical purposes operate a virtual monopoly. This does not in itself produce an unsatisfactory service for Islanders. The company is now more respected and operates an efficient network of bus services with much investment in new vehicles. It has struggled in recent years to continue with routes which have a low ridership, predominantly in in rural areas and some services are seasonal as a result. Fare structures and prices (particularly for regular bus users) compare on the whole well with those provided by services on the mainland. The prices for single use tickets are not always so attractive, there are obvious commercial reasons for this. I also believe that single trip prices are somewhat skewed by the complex rules which govern the setting of prices for travel by elderly or disabled passengers and which receive government subsidy. However, it is a matter of concern to me that we have no public visibility over the profitability of the services on the Island. Southern Vectis’s financial accounts are locked into wider services in Dorset on the mainland and the management accounts for services on the Island are confidential and not released to the public. This makes governance and accountability difficult to achieve. In terms of commitments for future investment, this is highly dependent on the willingness of the parent company to prioritise their services on the Isle of Wight in relation to the many other services they own and operate on the mainland, including rail services. Nevertheless, Southern Vectis have shown themselves willing to work with the IW Council as partners to try to work as best they can and to give practical assistance to support local community services. I invite the Taskforce to think through carefully what the Island should expect from its only bus service partner in terms of future investment, and to what extent support is needed from the public sector to improve services through road improvements. Two other challenges must also be faced. First, the opportunities likely to emerge from the Bus Services Bill currently going through its parliamentary journey (it is currently at Report stage in the Lords and will then move to the Commons), will give new freedoms to Local Authorities, and will offer up a series of new regulations designed to more closely align the plans of the local authority for the provision of public transport services. 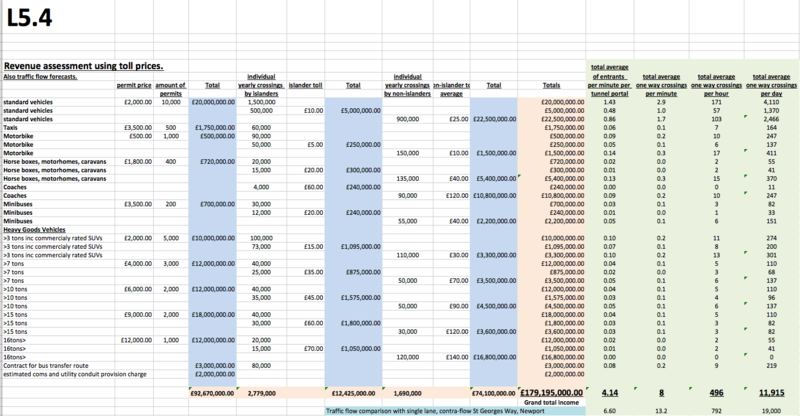 It would be helpful for the Taskforce to examine (on a confidential basis if necessary) the advance planning that has been conducted between the IW Council and Southern Vectis to identify future infrastructure funding requirements. The second challenge concerns the environmental footprint planned for the phasing-out of diesel fuel and its replacement with other forms of renewable energy propulsion such as electric batteries and hydrogen cell technology. I hope that the Taskforce can establish what plans exist in regard to modernising the bus fleet on the Island with particular emphasis on clean fuel systems. This is all the more important since we have another fleet of buses contracted to provide school transport services. A similar comment applies to this fleet. Most people would now agree that air quality priorities are becoming more important in public transport and health policy. I should say that I have found senior managers and directors in the Go Ahead group responsible for Southern Vectis, willing to engage in constructive dialogue and to share ideas and future plans. The submission to the Taskforce by promoters of a fixed link option is now public. However difficult and disruptive such a scheme might be – and this will ultimately be a matter for all Islanders (and indeed those affected on the mainland) to express an opinion on – it is probably the only radical way forward to break the duopoly of the two major ferry companies. I have been opposed to a fixed link for many years, wary of the fundamental changes that it might bring to the special and unique qualities that the Isle of Wight possesses. I am still concerned on these points, but I now take the view that, if there are promoters willing to put their money is where their mouths are, the time has come to study more closely what the alternatives might be, how much they would cost, who would pay for the link and how it might change the Island’s economy and Island life. The present fixed link promoters appear on the whole to be in favour of a road-based link. But if a fixed link option is to be properly examined, alternatives to a road-based system should be considered and I would hope the Taskforce would look at whether a rapid transit system could fulfil many of the connectivity requirements and offer up innovative “green” solutions to onward transport links on the Island. The Taskforce could encourage further studies (perhaps through the Solent LEP) to take thinking forward and at least update the detailed study from 2000, embracing new technology and global experience since that date. The Taskforce would undoubtedly find it useful to talk to those commercial organisations who believe that a fixed link between the Island and the mainland is both technically achievable and commercially viable. In terms of establishing transport investment priorities, the Ryde interchange has long been on the planning horizon but previous attempts to implement a new terminal foundered despite substantial grant availability from the DfT. Indeed there has been public money spent on planning for this project in the past, with no subsequent progress or improvements. Nevertheless, the existence of the rail terminal, bus terminal and passenger ferry portal all at Ryde should make investment in a Ryde interchange facility a key priority for any future transport investment plan. Clearly the future of the Island Line has to be part of any planning process. I believe that the Taskforce should take a look at what options might be available and at investments made by other authorities on the mainland to see what current prospects might be. It is acknowledged that, as one of the main tourist portals to the Island, the generally run-down appearance of the Ryde gateway is completely out of keeping with the tourism vision for the Island. The failure by both Network Rail or the franchise operator, SWT, to smarten up the appearance of the station and its immediate surrounds is to be condemned. It would seem sensible for the IW Steam Railway to be involved in planning in and around the main tourism portal at Ryde both in general and in particular to see what can be done to facilitate easier access to the steam railway itself. With regard to other tourist portals on the Island, Red Funnel and the Solent LEP are engaged in trying to improve facilities for both passenger and vehicle ferry services and I hope that the current planning difficulties can be quickly resolved to the satisfaction of residents, the wider community and the company. I know that strenuous efforts are being made to find a compromise that works for all parties. At Yarmouth, despite considerable cuts in services by Wightlink and the attempts by a Lymington pressure group to exclude ferry services, it is my hope that connectivity can improve and that the rail link through to Brockenhurst from Lymington can be modernised and made more attractive for the tourist market in particular. I hope that the Taskforce can investigate plans for the future of the rail link to report back on any positive plans. Since the Island is totally dependent on ferry services for transport connectivity with the mainland, the future transport investment needs connected with those services are of vital importance for the Island’s economy. Much has been written about the deficiencies of privately owned ferry companies and the high prices charged. It is increasingly clear to me that we simply cannot go on indefinitely allowing the ferry companies to make such high returns on their investments, to the benefit of infrastructure investment funds who themselves operate with financial models that do not match the needs of lifeline services to an economy entirely dependent on them. We should consider whether we need a formal stronger public service obligation placed on the operators and we need a radical review of pricing. All these matters have been put into the “too hard” basket by successive administrations. However, the time has come to consider what more can be achieved by stronger partnership arrangements with the operators. We need to prevent the ferry services being seen by the owners as disposable commodities to be leveraged with ever larger debt levels leading to them rewarding themselves with massive sale proceeds. We need long term partnerships with long term investment strategies. It must be understood that the ferries themselves are “mobile assets” and could be moved away from Island services if the owners feel they have a greater ability to profit from such assets elsewhere. The Island is badly served by having no public service obligations in place which apply to the ferry companies. By contrast, the Northern Ireland Assembly, deeply concerned about the exceptionally high prices charged by the airlines for services from Belfast and Londonderry to London and the ease with which they could simply withdraw services without consultation, have asked the DfT for a public service obligation to be imposed on the airlines. The DfT’s response is awaited and may be of interest to the Taskforce. I acknowledge the difficulties of finding a better way forward. Perhaps the time has come to consider seeking some form of public subsidy to encourage the companies to enter into stronger partnership agreements with the IW Council. Although not strictly capital investment, I believe that the terms of reference for the task force are sufficiently broad to allow further studies to be conducted into how ferry pricing and their range of services can be modified to make the Island’s economy more competitive. It is, after all in the interests of the ferry companies themselves that the Island thrives. There are many different models for ferry services to islands which can be found across the world. I would also like the Taskforce to see whether solutions can be found to connectivity problems the ferry companies (particularly high-speed passenger services) have with public transport services, especially rail services on the Mainland. I have been pursuing certain issues relating to rail connections and through ticketing with the Rail Minister. In response, the Minister stated that the rail companies felt that the ferry companies sometimes changed their timetables at short notice without regard to the complexity of rail timetabling on mainland lines. It is also clear that a virtual standoff exists with regard to late-night passenger services where a 2300 service from Southampton is the last regular service. No bus service is available from the rail station to the Red Jet terminal after approximately 2000 and the last train from London to allow the connection with the 2300 service leaves Waterloo at 2105. The 2135 train (which is timetabled to arrive at Southampton Central at 2249) is often a few minutes late making it impossible to connect with the 11-00 pm Red Jet ferry. The next available service is the 11-55 vehicle service but that arrives in East Cowes, quite a problem if one has parked your car in West Cowes. Similar problems exist with connectivity from Portsmouth with the last Island Line train leaving at ? from Ryde Pier Head, which means that the last available connection from London is ? And the later vehicle ferry service offers no relief since foot passengers have no means of catching public transport from the Fishbourne terminal. The argument put forward by the ferry companies is that there is no demand for services that late so they would be forced to run more unprofitable services. But their failure to provide connectivity to allow Islanders to attend functions, visit friends, go to public entertainment events especially in London is itself, I believe one of the main reasons for a lack of demand. It is certainly arguable that if they marketed much later services and worked with other public transport operators to improve connectivity, usage would improve. There is little doubt that the ease of crossing and possibility of 24/7 access to the Island is one of the strongest arguments in favour of a fixed link. I very much hope that the Taskforce agrees with this analysis and pushes this issue of connectivity hard and calls on the operators themselves to come forward with proposals to strengthen connectivity with the mainland. I have raised a number of issues which I hope that the Infrastructure Taskforce will feel able to take further forward. I appreciate that this is merely the start of a journey, not its completion. But the Island’s economic future depends to a large extent on our collective willingness to fight for an efficient, well supported and invested transport system and I believe that the Taskforce is certainly one of the keys to unlocking the strategic thinking necessary to take us forward and gain access to funding to get transport systems fit for the future for the Island community, businesses and the visitor economy.